Part wisdom, part affirmation... expect to be surprised. I thought our invitation to Mitchell and Julie's was for a potluck picnic, or something as casual. I should have brought our tuna salad in a prettier dish. I should not have brought Fritos. What can I say? Sometimes a bag of Fritos are a rite of Spring, like daffodils and new shoes. We arrived to a garden and home in full bloom. Julie had set the table with her beautiful china and silver, and elaborate dishes were coming out of the oven. And they even had supplies for decorating eggs, and Alex mixed the potions, so we could get down to business. I realize these pictures may cause a bit of a stir in some parts of the country where snow is still falling... yes, it has been gorgeous in Southern California, and yet, I think I would actually enjoy a few more weeks in Wisconsin. This little bunny dropped egg after egg in the cups of dye, so the artistic part of the program went fast. Alex made a newly hatched chick. She's still popping out of her shell. Here's the hen that laid her. Most fun things, and even some difficult things, are more fun when shared. Our afternoon together was beautiful, and fun, relaxed. Mitchell's a sweet boy, with an easy laugh. You have a lovely family. You must know also that you have a wonderful, charming writing style. I think this is egg-zactly what I need, some Easter egg dying fun. Tonight we will dye our eggs. Even at 19 Kelsey still wants to do this! Funny the things they remember and want to do at a holiday time. Happy Easter,my dear, to your and your beautiful family! Oooh, the cute bunny! Looks like you had a lovely Easter! your eggs turned out lovely! i really like that chicken one ;) I want you to make some chickens with Maria- I am going to make a Flickr group for them I think! 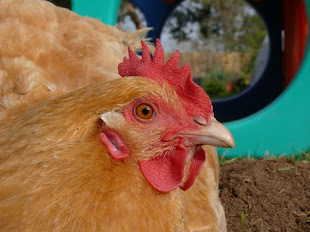 Natalie, your photos made me wish I'd dyed some eggs for Easter! I'm loving the warm weather, but it does seem odd to have 90s temps in March!